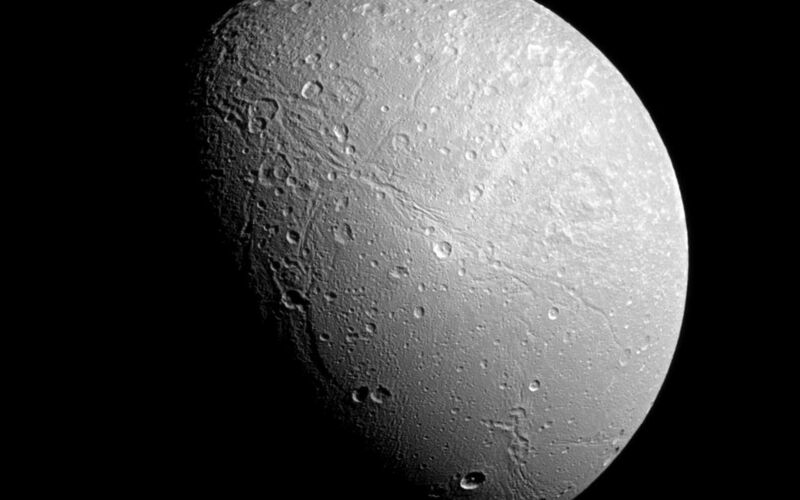 The famed wispy terrain on Saturn's moon Dione is front and center in this recent Cassini spacecraft image. The "wisps" are fresh fractures on the trailing hemisphere of the moon's icy surface. 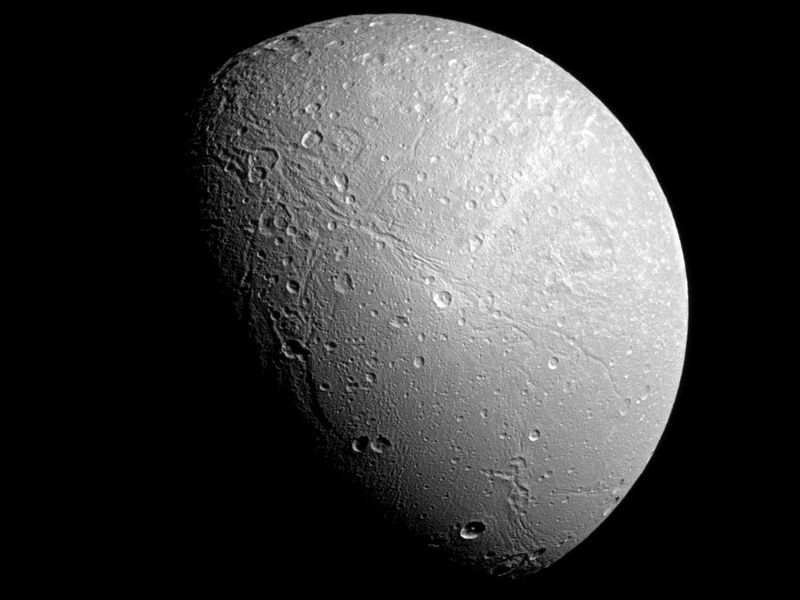 This view is centered on 55 degrees north latitude and 85 degrees west longitude on Dione (698 miles, or 1,123 kilometers across). North is up and rotated 39 degrees to the left. 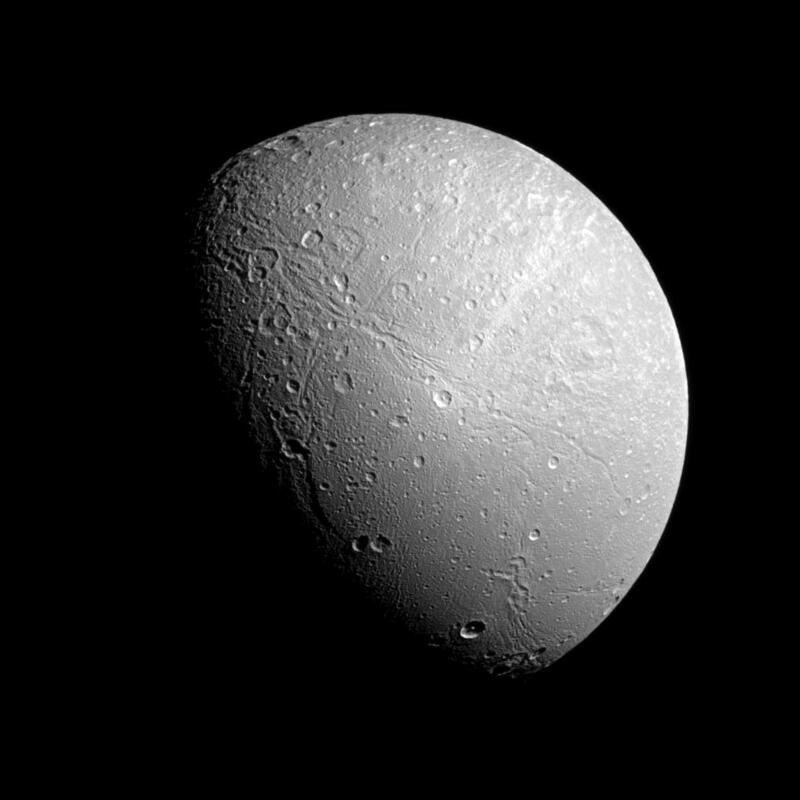 The image was taken in visible light with the Cassini spacecraft narrow-angle camera on Dec. 23, 2012. 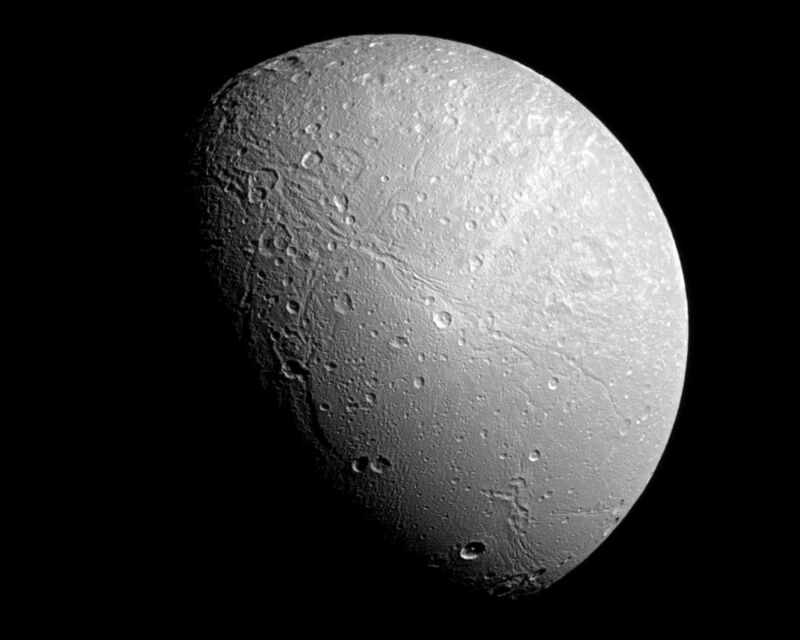 The view was obtained at a distance of approximately 153,000 miles (246,000 kilometers) from Dione. Image scale is 0.9 miles (1.5 kilometers) per pixel.